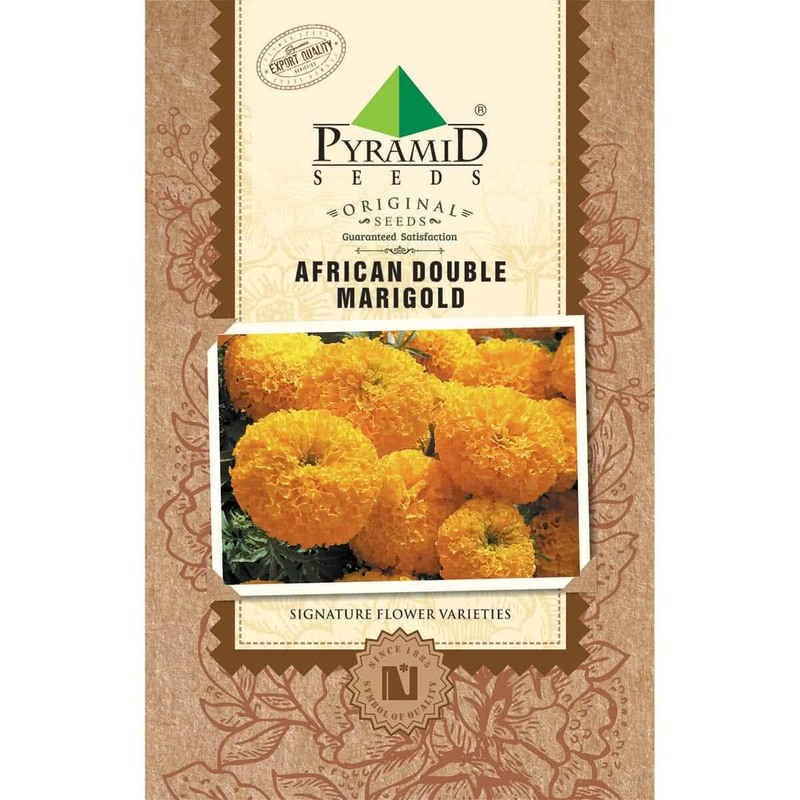 African Double Marigold grows taller and more upright as compared to French Marigolds.They are easy to grow and bloom under hot, dry conditions. These aromatic plants add brightness to the garden with their vibrant shades of yellow, orange and maroon. 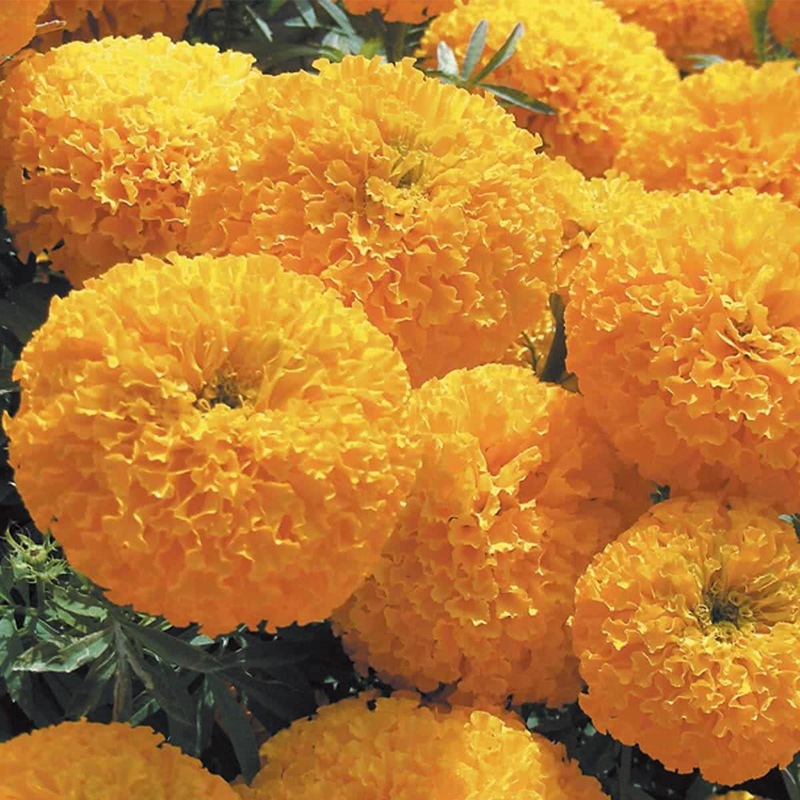 African double variety exhibits vigorous growth and uniformly giant globular yellow-orange blooms which are borne in great abundance for garden display and cuttings. Feeding: The African double marigold needs well manured and moist soil. The soil should be cultivated well, and a good dose of cow dung manure (8-10 kg per square meter area) should be incorporated into the soil to obtain double flowers in abundance.